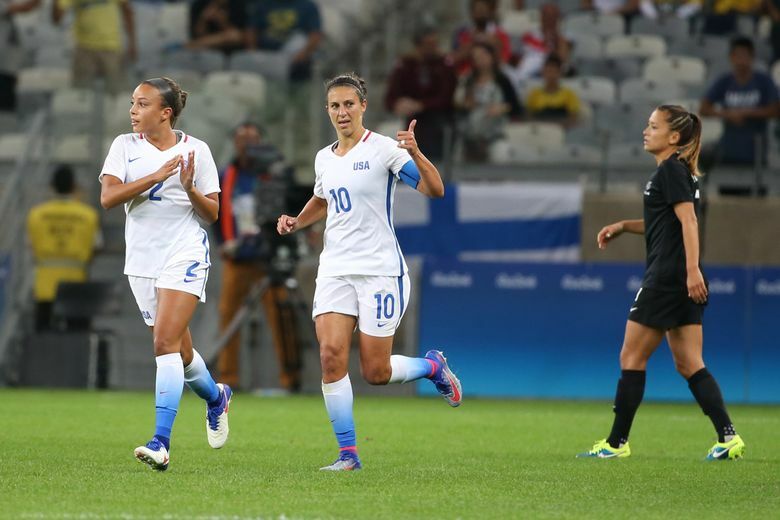 Carli Lloyd and Alex Morgan scored a goal in each half as the U.S. women’s soccer team defeated New Zealand 2-0 at the Rio Games, setting a solid start toward a fourth-straight Olympic gold medal. 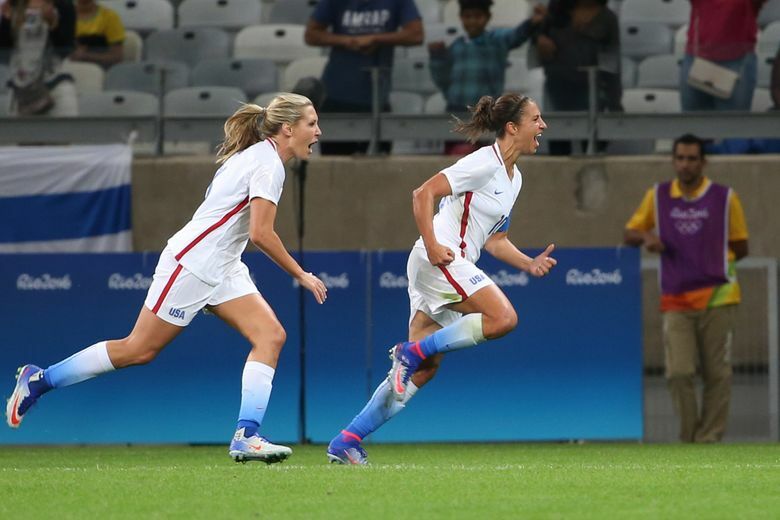 BELO HORIZONTE, Brazil (AP) — Carli Lloyd and Alex Morgan scored a goal in each half as the U.S. women’s soccer team defeated New Zealand 2-0 in its debut at the Rio Games on Wednesday, getting off to a solid start in its attempt to win a fourth straight Olympic gold medal. 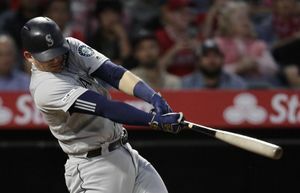 Near the end of the game, many of the nearly 10,000 fans at the stadium chanted “Zika, Zika” at goalkeeper Hope Solo, who before coming to the Olympics upset some Brazilians by tweeting a photo of herself wearing a hat with mosquito netting in a reference to the virus. The chants were repeated after the final whistle. 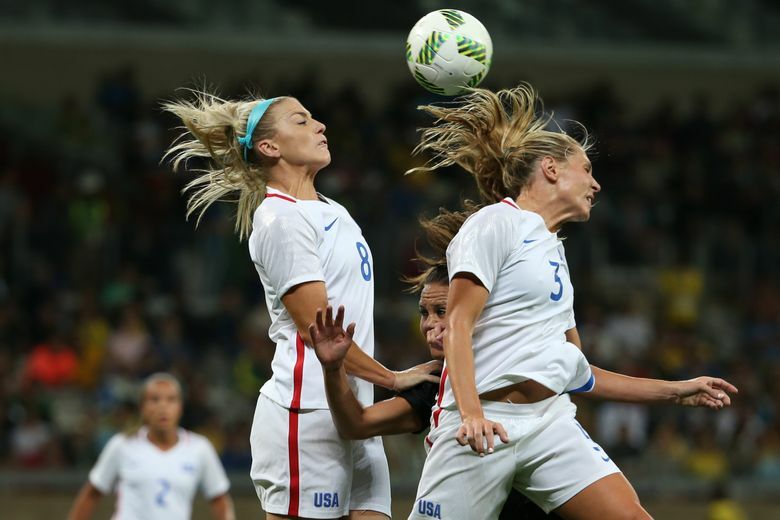 The Americans are trying to become the first team to win the Olympics after succeeding at the World Cup. 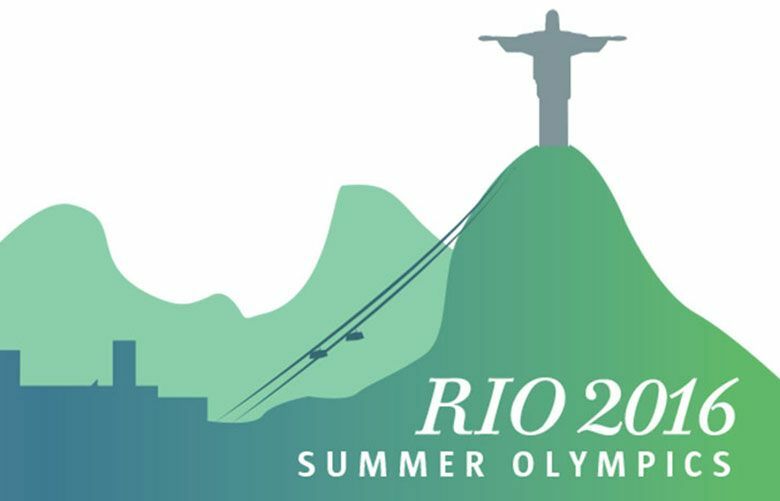 The Olympic tournament is the first major competition for the U.S. since the retirement of key players such as Abby Wambach and Lauren Holiday following last year’s world title in Canada. 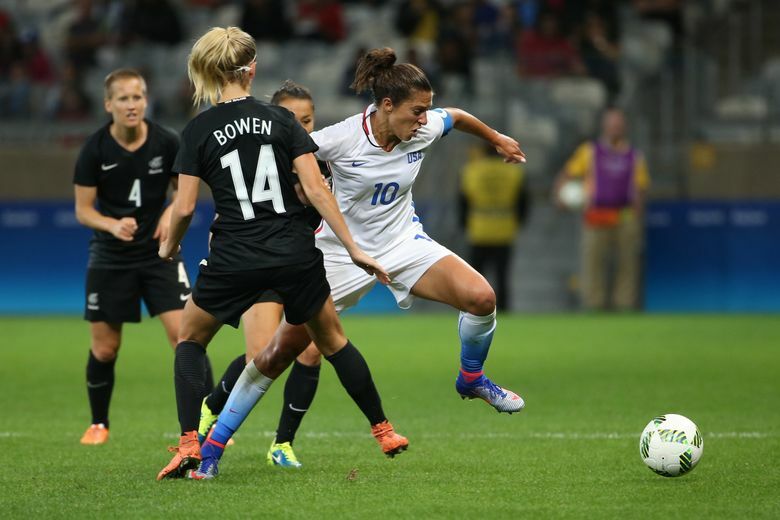 Lloyd opened the scoring after Heath beat a couple of defenders just outside the area before making a cross to the far post, where the U.S. captain outjumped a defender to head the ball into the other corner and score her seventh Olympic goal. Lloyd has scored in three straight Olympics, including in the finals both in 2008 in Beijing and 2012 in London. Morgan scored the second goal with a low shot by the near post after receiving a pass by Morgan Brian inside the area. 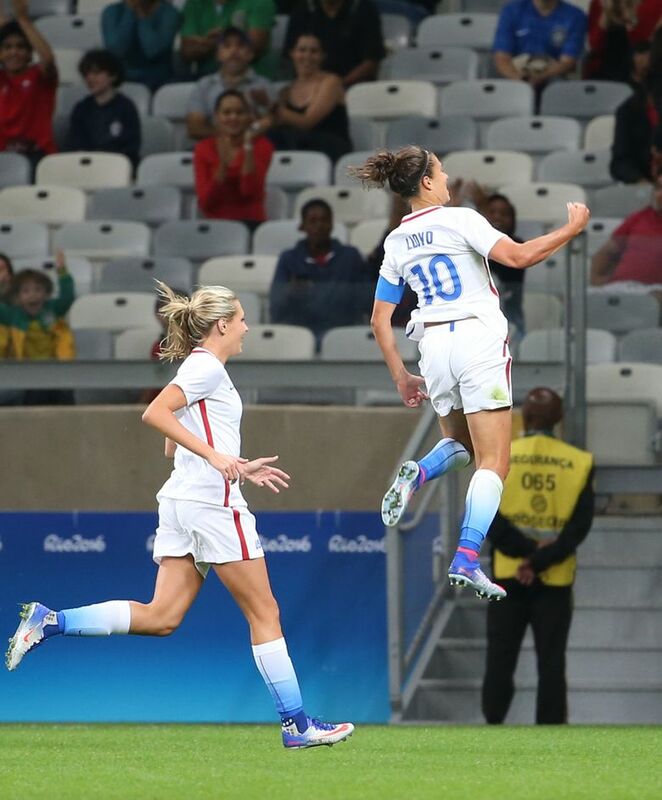 It was Morgan’s 12th goal of the year, and fifth at Olympic tournaments. 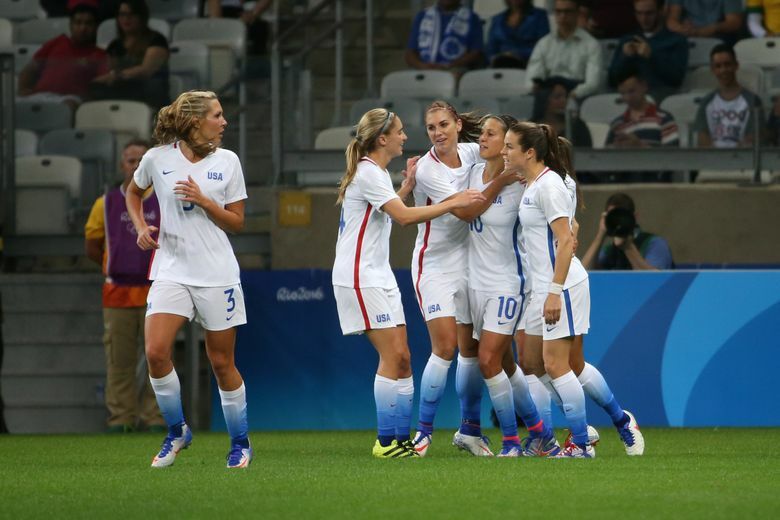 The U.S. is trying to win its fifth gold medal since women’s soccer became an Olympic sport in 1996 in Atlanta. The only time it didn’t win the Olympics was in 2000 in Sydney, when it lost the final to Norway. 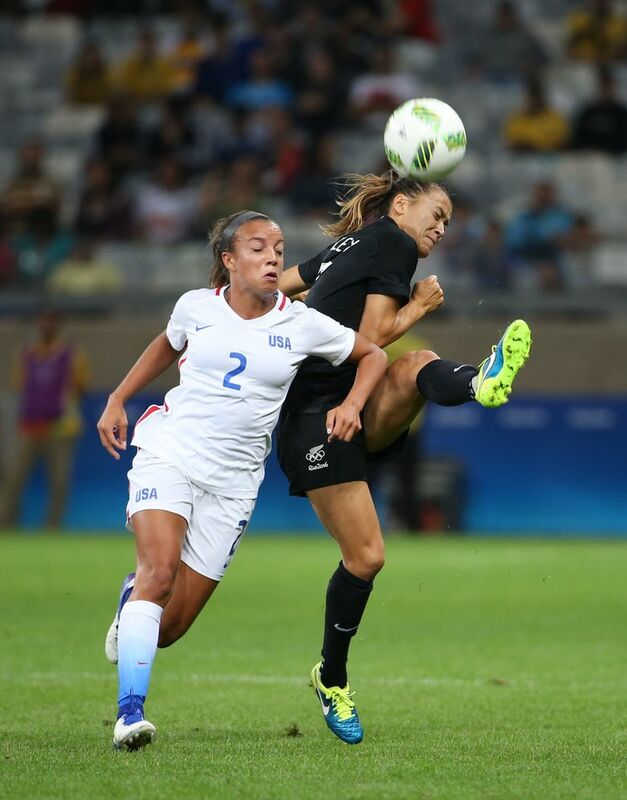 Mallory Pugh, 18, started the game to become the youngest American women’s player to start in an Olympic match.